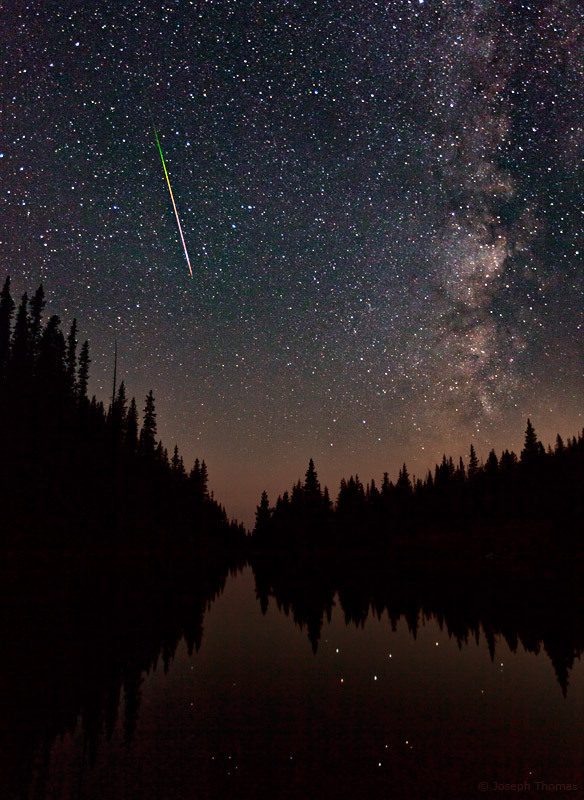 A meteor pierces the atmosphere and streaks across the star-powdered sky, ending its long cosmic journey. Photographing at night always heightens my awareness that we too are on a cosmic journey, whirling through time and space on a minuscule planet. The green color is caused by light emitted from magnesium atoms in the meteor as it first enters the atmosphere. Further into its final journey, the meteor heats molecules in the air, causing them to emit red light.